On Saturday May 11 from 11:00 a.m. to 12:00 p.m. JCPenney is holding a Free Mother's Day card event in their kids zones. 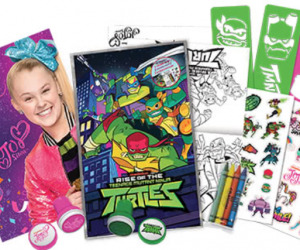 Kids can decorate a JoJo Siwa or Rise of the TMNT Mother's day card. Your store will have all of the needed materials for the kids to create their cards. Parents will also get a 10% off purchase coupon valid on May 11th only.